Beyond Drifting: Imperfectly Known Animals encapsulates in miniature the much larger environmental problems of an imperfect world. 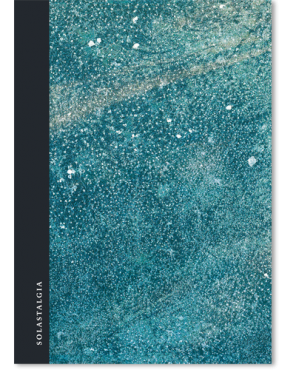 This work highlights a major subject of environmental concern with a unique collection of plankton ‘specimen’ photographs – revealed to be beautifully photographed objects of plastic debris recovered off the southern shores of Ireland. Antique design reflects on a time before plastic, while exposing the urgent issue of severe pollution in our natural environment. + The bespoke, handmade box (24x21x4.5cm) is wrapped in black linen buckram with Beyond Drifting foiled in satin gold on the rounded edge (foil not currently shown). Signed edition of 40 (labeled inside). 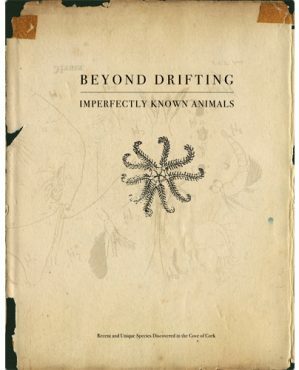 + The Beyond Drifting: Imperfectly Known Animals hardcover book is 104 pages, 23×17.5cm with 59 colour photographs and illustrated throughout with texts and drawings by John Vaughan Thompson from his 1830 book Zoological Researches, and Illustrations Or Natural History of Nondescript Or Imperfectly Known Animals, in a Series of Memoirs – an inspiration behind Mandy’s series. Hand-finished and signed copy. 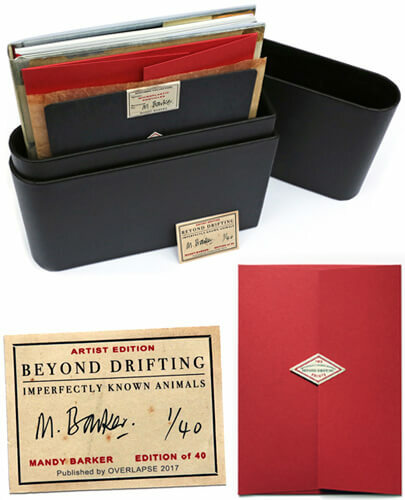 + The artist’s Research Notes (23×17.5cm) presents 50 pages reproduced from Mandy’s original sketch book from the making of Beyond Drifting. 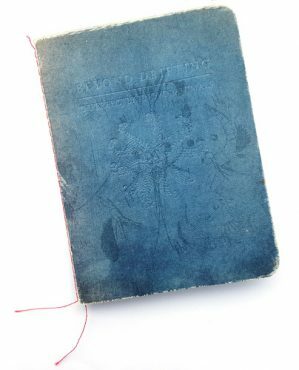 She started the sketch book while on a residency at the Sirius Arts Centre in Cobh, Cork in Ireland and maintained during her conceptual development of the trade edition book. Providing a complete picture of Mandy’s experience of retrieving plastic objects in the Cove of Cork, it also documents her thinking process behind the creation of the series. The book is wire bound with black GF Smith ‘Wild’ paper covers, debossed on the front and featuring tip-ins by the artist. Signed on a label in the back, Research Notes is numbered in an edition of 50. 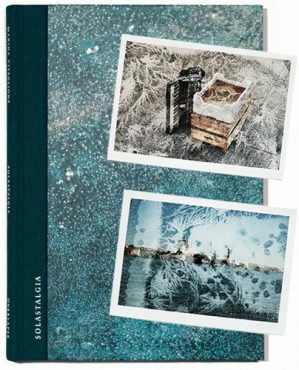 + The Microscopic Specimen Slide is uniquely handmade with microplastic particles retrieved by the artist, labeled from the Cove of Cork, mounted in card and presented in a glassine sleeve. Signed and numbered in an edition of 40. + CHOOSE FROM ONE OF TWO PRINT SET OPTIONS. Sets of two limited edition giclée prints (15x21cm) are made by the artist, wrapped in glassine and presented in a red GF Smith ‘Colorplan’ paper envelope, signed and numbered in editions of 20. For packaging and insured postage add £25 (US $36). All editions ship from the UK.